Dubai, UAE, March 04, 2018: It’s the battle of mind, of prowess, and of gut. Skyline University College and the Young Vision magazine are back with the third edition of Crossfire Inter-School Debating Competition from February 6-7, 2018 at SUC campus. 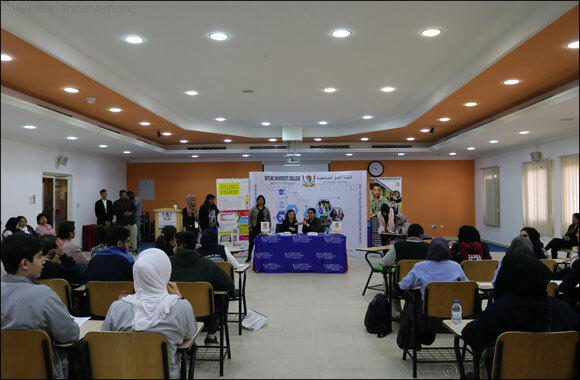 Team NG-11 from Al Ansar International School (Girls) was declared the winner of the competition with more than 100 participants from 24 schools from the UAE. Congratulations to all the winners of this year’s competition and we thank all the 29 schools for their active participation.